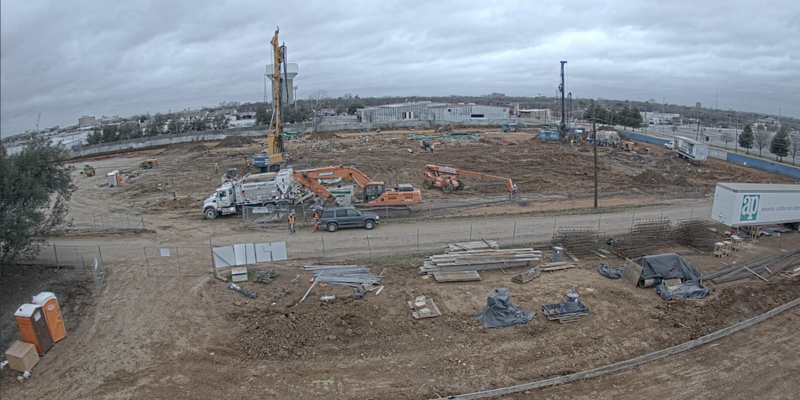 Jan. 22, 2019 - Watch the latest time-lapse video from the construction of the AISD Fine Arts Center and Athletics Complex. And check back weekly for new videos, especially when the buildings go vertical. The videos will be posted on Youtube and on the webpages for the Fine Arts Center and Athletics Complex. Both future facilities are projects of the Bond 2014 program.